With the 30th anniversary of the Celebrator Beer News, it’s interesting to note that one of the Celebrator’s early contributors was also responsible for exposing many Coloradans to fresh, full-flavored beers. Jim Parker opened the now-defunct Mountain Tap Tavern in Old Town Fort Collins in 1992. His tap list included beers from several upstart local breweries, including New Belgium and Odell. To many, a visit to the Mountain Tap was an eye-opening, if not life-altering, experience. Parker now resides in the Pacific Northwest, where he remains active in the regional beer scene. 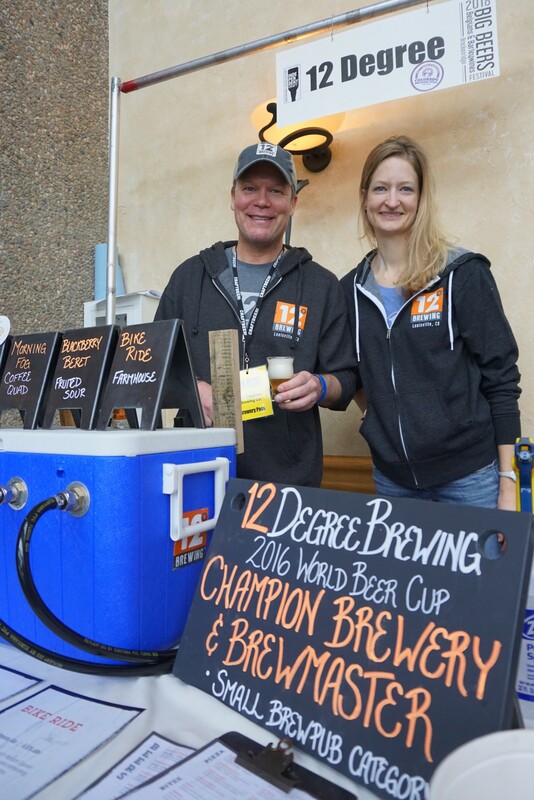 The 17th annual Big Beers, Belgians & Barleywines Festival, the premier Rocky Mountain wintertime beer gathering, took place in early January in the ski town of Breckenridge. I arrived for the final day’s festivities and attended two excellent seminars prior to the fest’s over-the-top grand tasting. A panel discussion on coffee beers included a sampling of seven coffee-infused ales. Panelists included brewers from Colorado’s Oskar Blues, Epic and Left Hand Brewing, as well as New Jersey’s Carton Brewing. Next on my agenda was an interactive seminar titled “The Science of Pairing with Spicy Foods.” The animated presentation was conducted by taste scientist Nicole Garneau, Ph.D., director of the Genetics of Taste Lab at the Denver Museum of Nature & Science. As the audience ate wasabi peas paired with three different beers, Garneau explained the mechanism by which we perceive spiciness and how the addition of other sensations (cold, bitter, sweet, etc.) inhibits or intensifies the perception of spiciness. 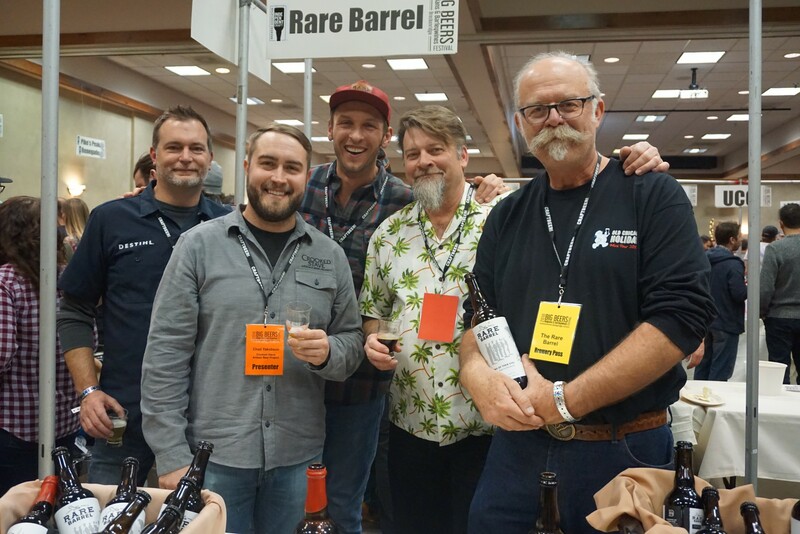 The high-spirited interaction among attending brewers demonstrated that the Big Beers festival is as much an industry gathering as it is a beer lover’s bucket list event. 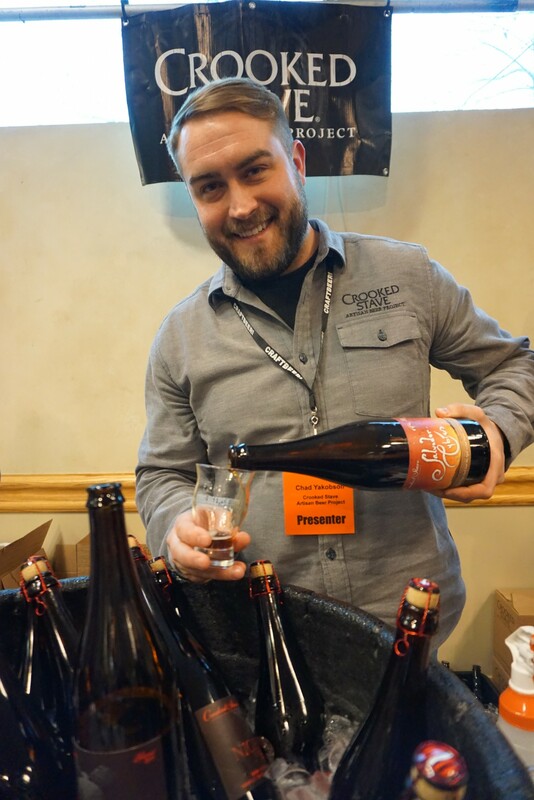 The festival’s main event was the grand tasting, which featured an extraordinary collection of over 500 beers from many of the country’s most progressive breweries. I was especially impressed with the number of geographically dispersed breweries that joined a large contingent of Colorado beer-makers to show off their most high-end creations. Among the out-of-staters who trekked to the Colorado high country for Big Beers were Alaskan, Alesong, Bell’s, Crux, Dogfish Head, Firestone Walker, Jester King, Modern Times, Rare Barrel, Side Project, Sierra Nevada and numerous others. With the ski season in full swing, it’s heartening to see the ways in which the homegrown beer and ski industries are joining forces in a variety of endeavors. Since 1994, Winter Park Resort has had its own contract-brewed beer, Mary Jane Ale. The beer is named after the resort’s Mary Jane Mountain, which is notorious for its challenging expert terrain (motto: “No Pain, No Jane”). A succession of Colorado breweries, including Rock Bottom and the SandLot, have contract-brewed Mary Jane Ale since its inception. A few years ago, New Belgium Brewing took over production of the sessionable amber ale. While the beer was formerly available only on draught at Winter Park Resort, New Belgium recently began canning the beer for wider distribution. In December, the brewery hosted a can release party at the resort, which I used as an excuse to dust off my skis and partake in the festivities. They included an on-mountain scavenger hunt where cutouts of the Mary Jane logo were hidden around the mountain for skiers to seek out. Those who found the cutouts (unfortunately, not me) were eligible for prizes, including Winter Park season passes and a New Belgium cruiser bike. Several other brewery-sponsored events at Winter Park are in the works for the current ski season. Tommyknocker Brewery in Idaho Springs has had a long-standing relationship with the locals’ favorite Loveland Ski Area. The brewery produces Pine Bough Pale Ale exclusively for the resort. The beer is a sessionable American pale ale flavored with spruce needles collected at the ski area. Oskar Blues has also teamed up with Loveland to offer occasional midweek Hooky Days. For $65, participants get round-trip bus transportation from Denver to Loveland, beer on the way up, a lift ticket and lunch. Upcoming Hooky Days are scheduled for February 8, March 8 and April 12. For the stout-loving skier who has everything, Great Divide Brewing has teamed up with Denver-based Meier Skis to create custom Yeti-themed skis. Yeti is the name of Great Divide’s award-winning imperial stout. The eye-catching design features a white Yeti silhouetted on a dark background on one ski, with the “I BELIEVE” slogan prominently displayed on the other. Snowboards are also available. There have been a lot of transitions in the Front Range beer scene in recent months. In Denver, the space that housed now-defunct Deep Draft Brewing was acquired by Thirsty Monk Brewery & Pub, which is based in Asheville, N.C., and is gearing up to enter the already-crowded Denver brewing scene. Denver’s De Steeg Brewing was recently sold and is now operating as Blind Faith Brewing. Wit’s End Brewing vacated its original location and now shares brewing and taproom space with Strange Brewing. The former Wit’s End location will be home to a new brewery called Burns Family Artisan Ales. In Boulder, three downtown beer spots have new tenants with familiar names. Boulder Beer has opened a second location in the former home of the Walnut Brewery, Boulder’s original brewpub. The Walnut had operated in downtown Boulder since 1990. When the Shine brewpub left downtown last September and dropped its brewing operation, the space was quickly transformed into a second location for The Post, whose original location is in Lafayette. The brewpub is known for its sessionable ales and top-of-the-line fried chicken. Last September, Longmont-based Oskar Blues opened a tap house in the Pearl Street space briefly occupied by World of Beer. In Fort Collins, a recent brewery transition has created a local buzz, and for good reason. The former 1933 Brewing Company closed in late 2016 and reopened last August as Purpose Brewing & Cellars. The new venture is co-owned by two couples: Zach and Laura Wilson, and Peter and Frezi Bouckaert. The Wilsons previously worked at 1933. Peter Bouckaert, you may be aware, is the former head brewer at New Belgium, a position he held for the past 21 years. The Belgian native launched New Belgium’s sour beer program and is one of the pioneers of sour beer brewing in the U.S. He also was the creative force behind many of New Belgium’s most interesting and esoteric fermentations. Bouckaert departed New Belgium in November to concentrate full-time on the new venture. When I recently visited Purpose, I discovered a cozy and inviting taproom with an adjoining living room–like space where patrons can kick back on a collection of cushy sofas. The brewery’s former bar area is now used for barrel aging. The taproom is open Friday through Sunday only. Four beers are available, with at least two changing each week. During my visit, the eclectic offerings included a brown ale, a pale ale, a spiced fruit beer and a sour ale aged in red wine barrels. The beers were stellar. As I chatted with Bouckaert during my visit, it was clear that he was enjoying the freedom to exercise his considerable brewing talents producing small-batch beers with few creative restraints. In its short existence, Purpose has been a big hit in the beer-intensive northern Colorado community. With the opening of Purpose, Fort Collins is now home to 22 brewing businesses. And finally, congratulations to New Belgium and Ska Brewing, which were both included in Outside magazine’s list of 2017 Best Places to Work.